Filming begins during the third week in January, 2014. Filming for "Manhole" finished March 31, 2014. 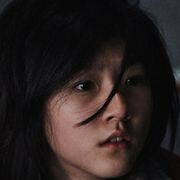 The last scene filmed involved a woman (Jung Yu-Mi) and her younger sister (Kim Sae-Ron) being chased by a man (Jung Kyoung-Ho). Lyn Jul 18 2017 12:59 am At first it looked promising, but there are so many plot holes the more you watch. Good acting but boring and stupid movie. You'll know when you watch it. Plenty of better thrillers out there. parkshinmi Sep 20 2015 2:53 am Watching the trailer make me goosebumps!! nicky Mar 12 2015 5:20 am kim sae rooooon love her..
yamram Nov 01 2014 11:05 pm it is so nice and the cast was great! Pollen Sep 10 2014 3:56 am You are the best actor in Korea. i always your fan ............ from Myanmar. Be Happy & good luck in everything. love love Sep 03 2014 6:03 am I like Jung Kyung Ho so much. His acting is so awesome. Like his serious face too. So charm. Thandy Jun 20 2014 9:27 pm I really want to watch this for Jung Kyoung-Ho. fuukitsu May 29 2014 7:01 am woahhhh.... can't wait. 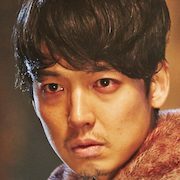 Kyungho in another action movie~! Thumbs up for the synopsis!